"Daniel & Lane" is an ode to the days of innocence and childhood. It offers an exhilarating blend of Eucalyptus and Peppermint, with a backdrop of Clove. The perfect notes of warmth & refreshment. Organic Pumpkin puree! That's right, Pumpkin! Pumpkin is packed with fruit enzymes and alpha hydroxy acids (AHAs), which increase cell turnover, to brighten and smooth the skin. Pumpkin contains antioxidant Vitamin A and Vitamin C to help soften and soothe the skin and boost collagen production to prevent the signs of aging. 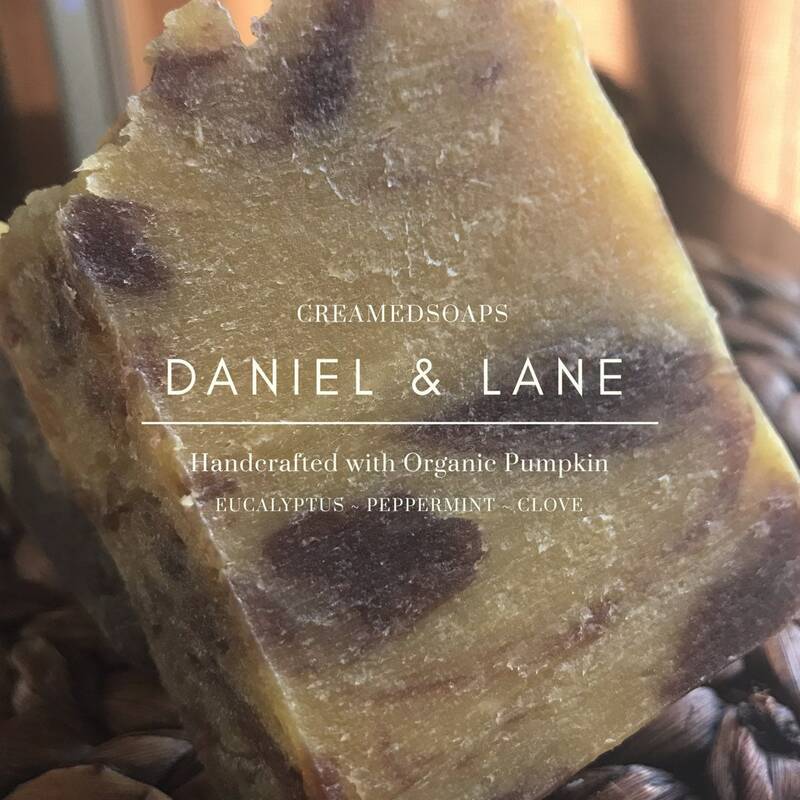 CreamedSoaps does not claim that this bar will do all of the above, but Organic Pumpkin was too cool of an ingredient, so we had to Cream it! We went back to our favorite, Hershey's Cocoa powder for a dark brown swirl. I love every item I've purchased! There have been so many, I've lost count. Every product feels and smells amazing. Amber's passion for skin care shows in the quality of the products. If you're considering a product, please please please buy it. You will not be disappointed!